Jamie Crooke Powell is an artist, educator, and administrator based in Los Angeles, CA. 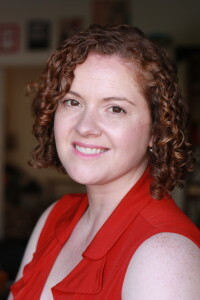 She graduated from the Otis Public Practice MFA program in 2011, and is currently the Programs Manager at The Pasadena Educational Foundation in Pasadena, CA. Her art practice is comprised of project-based artworks utilizing a service-based model exploring the intersection of urban planning and public health. The artwork is often participatory in nature, which utilizes performance, installation art, video, drawing, social sculpture and event planning as formats for her artwork. Throughout her projects and professional practice she aims to create moments of reflection using pedagogical models, poetics, and a public practice. Jamie is a lifelong learner and health advocate, which informs her art practice.